Before the move to Colorado I was trying to empty my freezer of all the frozen fruit I had. 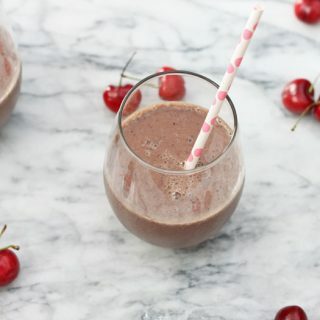 I always have a stash of frozen bananas in the freezer for smoothies, Frozen Yogurt Banana Pops, or just for snacking on. I’m strange I actually prefer eating a frozen banana over a fresh one. I also had pineapple left in the freezer from when I made my Tropical Smoothie. 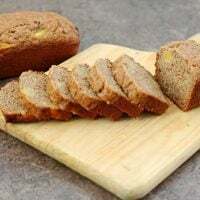 I wanted to bake something that I could share with my family so I figured since my Whole Wheat Strawberry Banana Bread was such a hit with them that I would change it up a little and make Pineapple Banana Bread. 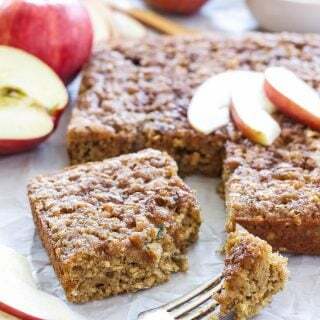 The changes I made to the recipe other than the obvious, using pineapple instead of strawberries, were I used coconut oil instead of butter, and used a little less cinnamon. I loved the sweetness that the pineapple added to the bread. The whole wheat flour also gave the bread great texture and a slight nutty flavor. 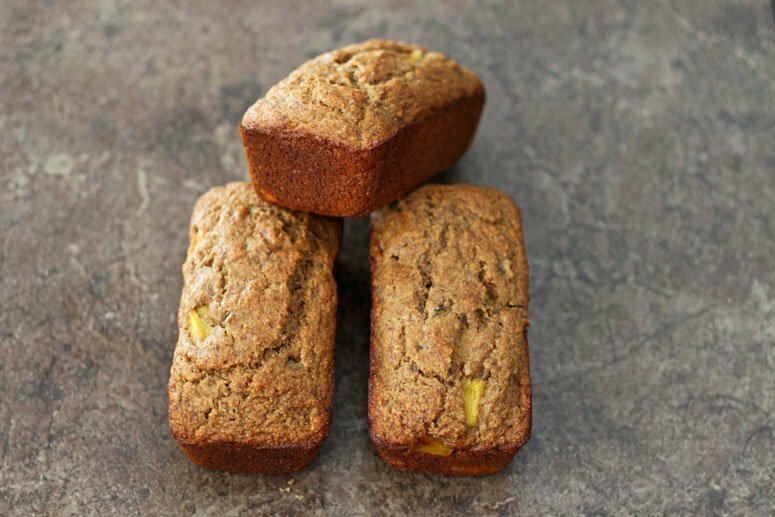 I made this Pineapple Banana Bread in my mini loaf pans since I planned on sharing it, but you could also make it as a single loaf in a 9×5 loaf pan. 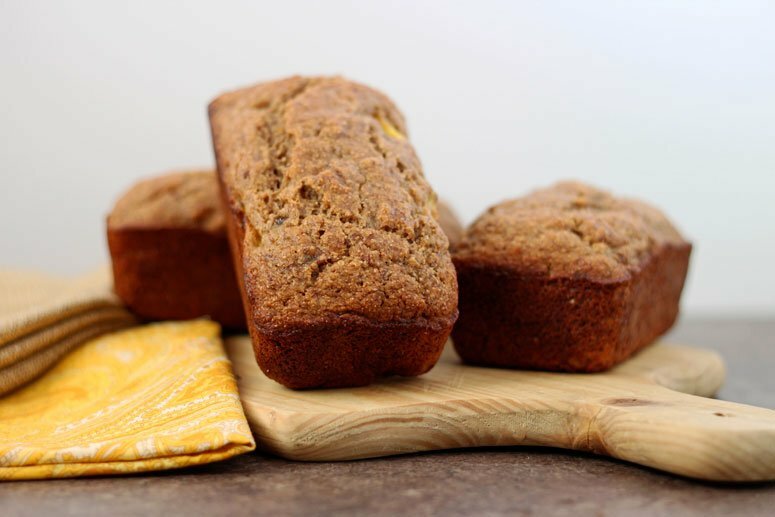 The Pineapple Banana Bread is a great summer bread. 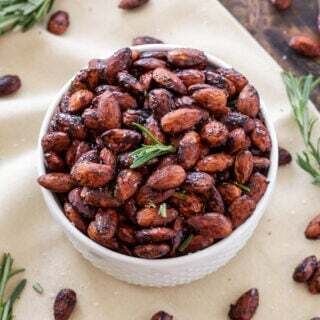 It has a yummy tropical flavor to it and would be delicious with a coconut pineapple cream cheese spread on it. However, if you are trying to keep it healthy it tastes wonderful on it’s own. 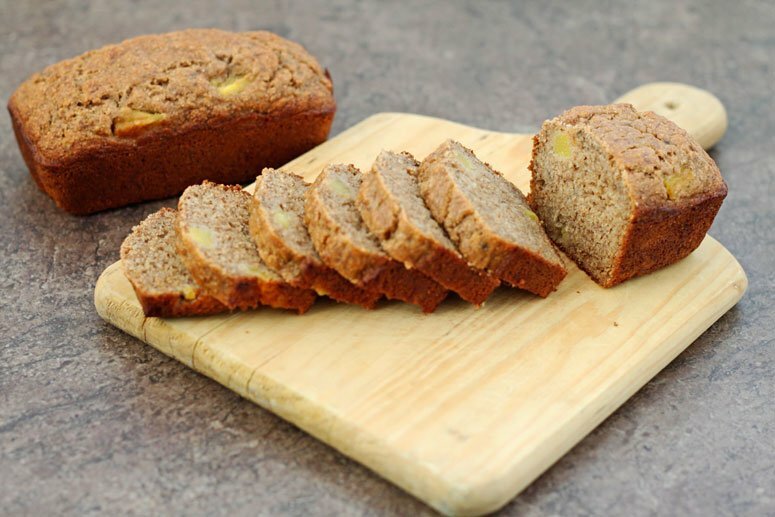 If you enjoy banana bread, but are looking for a way to jazz it up, try out this recipe! 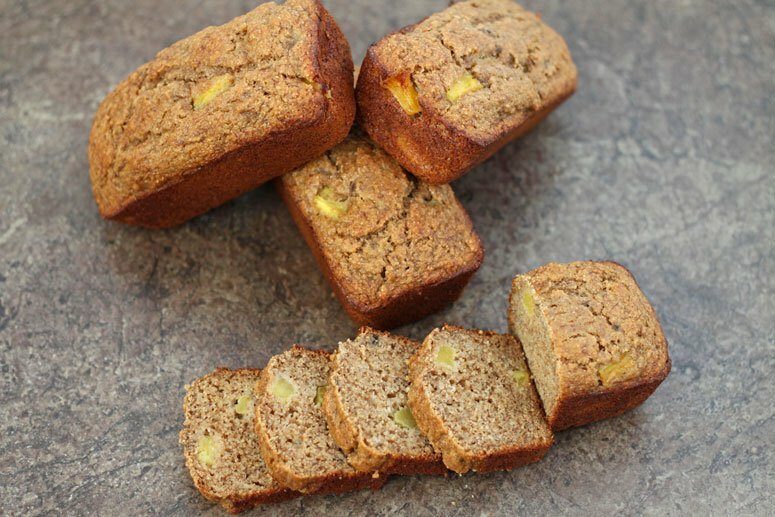 Grease 4 mini loaf pans or a 9x5 loaf pan and set aside. In another mixing bowl mash the bananas, add the Greek yogurt, egg and egg whites, melted coconut oil, applesauce, and vanilla. Gently fold in the diced pineapple. Pour the batter into the prepared loaf pan(s) and bake for 35-40 minutes for the mini loaves or 50-60 minutes for the 9x5 loaf.